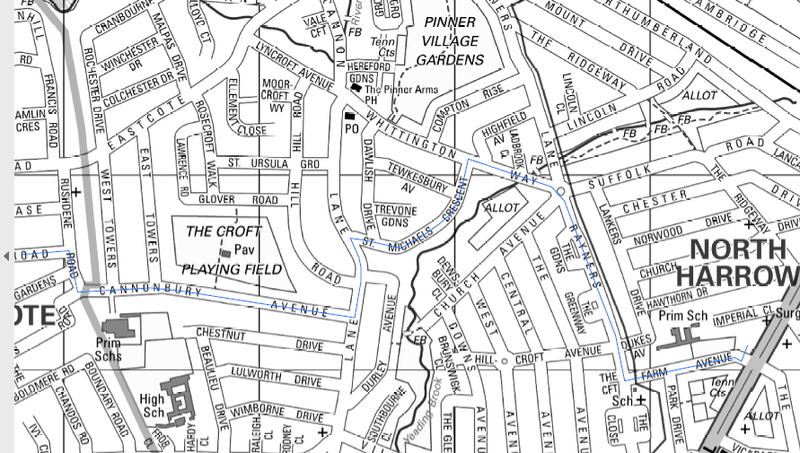 Thank you to the Eastcote Residents’ Association who have alerted The Pinner Association about substantial and potentially disruptive roadworks, which we understand may take up to a year to complete from Rayners Lane to West Ruislip. The roadworks will be for the laying of two high power electrical cables from an electricity sub-station off Imperial Drive, between Rayners Lane and North Harrow, to West Ruislip. The new cables will be required to carry the large amount of electricity needed to power the tunnel boring machine for the HS2 tunnel which is to emerge at just beyond West Ruislip. As HS2 is a statutory transport body and therefore can undertake utility works without requiring any consent from the local authority. We have been informed that there are technical reasons why the new cables cannot be laid along the existing railway lines from Rayners Lane to Ruislip and that the power supply at West Ruislip Station depot is insufficient for the purpose. The HS2 management liaised with Harrow Council on the route for the cables, which has been designed to minimise the disruption to bus routes. When more information is available Harrow Council has undertaken to communicate with the public in the areas affected telling them what to expect. The HS2 management are holding a series of “drop-in” meetings in the north of Hillingdon borough and you may wish to go along to one of these to obtain further information. As yet, we have not been informed of any “Drop-in” sessions being held in Harrow borough. If you would like to find out more about the HS2 project or have questions about it, your local HS2 Community Engagement Manager along with engagement staff from the contractors will be available for you to drop-in and speak to. The drop-ins will be held at Harefield library, Park Lane, Harefield, UB9 6BJ; Ickenham library, Long Lane, Ickenham UB10 8RE; and Ruislip Manor library, Linden Avenue, Ruislip Manor HA4 8TW. You are welcome to drop-in at a location or time suitable for you. No appointment necessary. Further information will be posted on the Pinner Association website and Facebook site when this is available. Next Next post: West House Lodge Appeal Dismissed.